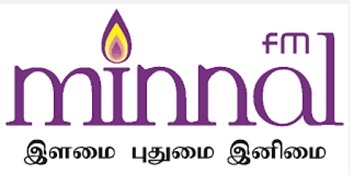 Minnal FM Malaysia Tamil Radio Live Streaming Online . It serves as a source of information and entertainment not only to Indian Malaysians but to people of Indian origin worldwide as well as Tamil enthusiasts . It broadcasts from Kuala Lumpur in Malaysia . It provides information and government messages to the malaysian public through programmes and information tailored to the taste of local as well as international listener.